Only have a handful of licks at your disposal? 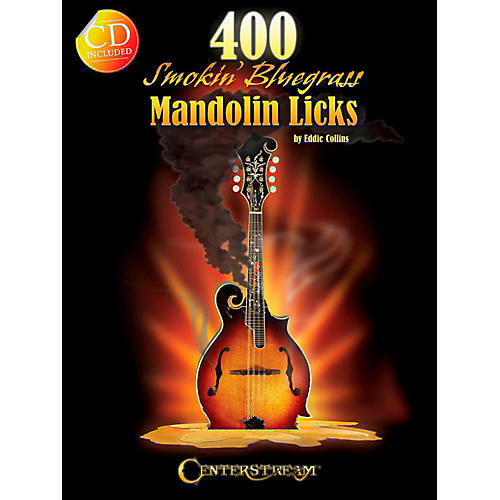 400 Smokin' Bluegrass Mandolin Licks utilizes 24 common bluegrass chord progressions to teach you over 400 licks that will allow you to create solos to hundreds of bluegrass tunes. Licks are developed from major pentatonic and blues scales. Mandolin-specific techniques such as tremolo double stops drone strings and cross picking are included in many of the phrases. Licks and solos are presented in numerous different keys including the keys of F Bb and B. The demo CD includes every lick performed at learning speed. Each practice progression uses sample licks and is played with rhythm accompaniment. Nine-Pound Hammer Salt Creek Black Mountain Rag Little Maggie and Ragtime Annie are just some of the many traditional bluegrass tunes included.